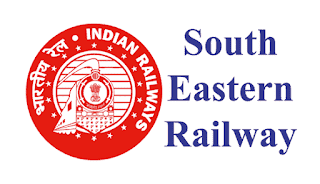 South Eastern Railway Jobs Recruitment Notification 2018.South Eastern Railway inviting applications for the positions of Medical Practioner.Interested and Eligible candidates can apply for the positions. 2. Specialist Posts: Medicine-04 (Kharagpur-02; Adra-01; Chakradharpur:-01). Anesthesia-04 (Kharagpur-01; Adra-02; Chakradharpur-01). Ophthalmology-02 (Adra-01,Chakradharpur- 01) Orthopaedics-03 (Kharagpur-01; Adra-01; Chakradharpur:-01). Gynae & Obst.-01( Kharagpur-01) Surgery-03 (Adra-02; Chakradharpur:-01) ENT-01( Kharagpur) Pathology-01(Central Hospital, Garden Reach). Radiology-01(Central Hospital, Garden Reach). Dental-01. a. For Super Specialist:- M.B.B.S with MCH/DNB in Plastic Surgery or any other field of Super Speciality, as mentioned in the Notification. b.For Specialists: MBBS with Post Graduate Degree/Diploma in the respective field of specialty or any other Post Graduate Degree/Diploma in another speciality. c.For General Duty Medical Officer: MBBS. d. For Dental: Minimum qualification BDS. All the candidates must be registered with MCI or State Medical Council and the qualifications must be recognized by MCI. Age: A candidate should not exceed 50 years of age as on 01.01.2018, (5 yrs. age relaxation for SC/ST and 3 yrs. for OBC). 1. The appointment will be on full time contract basis for an initial period of one year or till replaced by UPSC selected doctors, whichever is earlier. However, the number of annual terms for engagement of CMPs may be enhanced upto 12 consecutive terms on year to year basis and each term of engagement shall not exceed more than one year or till attaining the age of 60 years whichever is earlier subject to the decision of the Appointing Authoruity. 2. The contract is liable to be terminated by giving 15 days prior notice by either side, without assigning any reason, or if the Contract Medical Practitioner is mentally/physically incapacitated. The contract appointment shall not confer any right for regularization or absorption in the post. For retired Govt. (Railway/Central/State) doctors, age should be within 65 years as on 01.01.2018 (engagement is limited upto 65 years). 3. There shall also be a wait listed panel of the doctors in the relevant fields, if not available, then GDMOs to the extent of the vacancies notified, in the respective categories and units along with the shortlisted candidates. This is an arrangement purely to deal with the shortage situations in the event the empanelled doctors do not join the working post, or leave services before the contract term. The waitlisted panel shall be operated solely to cater to the deficiencies in the subject panel in the same notification and shall not have any connection with regard to vacancies arising out of different panels of CMPs, or retirement/VR of serving IRMS doctors. Therefore, mere appearance in the waitlisted panel does not confer any right for appointment, whatsoever. The currency of the waitlisted/stand by panel shall be for one year and after the expiry of one year, it will be deemed to have exhausted its currency, if not operated. 4. If Govt. accommodation is provided, an amount equivalent to the sum of HRA & license fee of the accommodation so provided shall be deducted from the monthly remuneration. One set 1st class complementary Railway pass for self and family during each contractual year shall be issued after 03 months’ continuous service. Daily rate of reduction from the fees for excess absence will be made as per extant rules. 5. For Retired Govt. (Railway/Central/State)doctors: A fixed remuneration of Rs 46,000/- p.m subject to the condition that remuneration + pension drawn by retired doctor should not exceed the last pay drawn at the time of retirement. 1. The willing candidates abiding by the above terms and conditions, may report for the “WALK IN” interview in one of the above mentioned venues where desirous to serve, at 10.00 hours, with an application ( as per Annex-A / B as applicable ) duly filled in along with all certificates i.e date of birth/M.B.B.S/BDS pass certificate ; MBBS/BDS result sheets of each year; attempt certificate for each M.B.B.S/BDS, if any; MBBS/BDS Registration Number certificate; Internship completion certificate; Diploma /Degree/MCH/DNB certificate; Clinical experience certificate if any; Caste certificate (if any) IN ORIGINAL and self attested xe-rox copies along with two passport size colour photographs. b. 24th July, 2018 at 11.00 hrs - Office of the chief medical superintendent; South Eastern Railway, kharagpur, Dist.-Paschim Medinipur, W.B..
d. 25th July, 2018 at 11.00 hrs - Office of the chief medical superintendent South Eastern Railway, Adra, dist.- Purulia, W.B.